KOTA KINABALU: Parti Bersatu Sabah (PBS) welcomes investigation by the Energy, Technology, Science, Climate Change and Environment Ministry over the Trans-Sabah Gas Pipeline (TSGP) project in the state. Its minister, Yeo Bee Yin, recently disclosed that the TSGP project has been suspended pending investigation on the RM3.5 billion allocation paid to an allegedly incomplete work. “We welcome the investigation, and if it is proven true, we would be equally disappointed and action must be taken against those involved. “Charge or sack them. If the allegations are true, it is against the procedure and proper management of government fund. Until then, we will have to wait for the investigation to be completed to get the real picture,” said PBS Deputy President Datuk Seri Dr Maximus Ongkili. 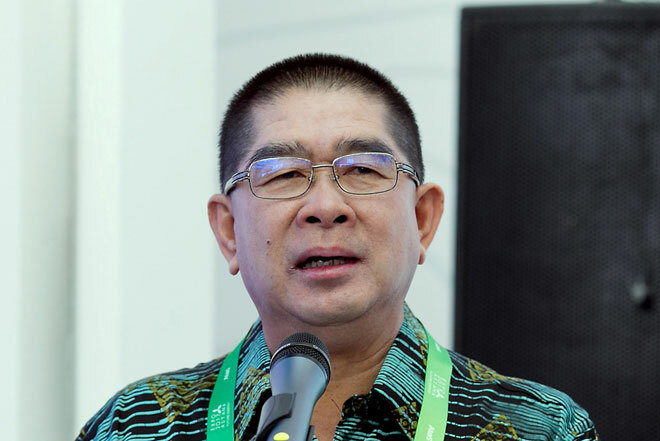 Maximus, the former minister overseeing the project, then known as the Energy, Green Technology and Water Ministry (KeTTHA), said the TSGP project involved building a 662km gas pipeline from the Kimanis Gas Terminal to Sandakan and Tawau, costing RM4.06 billion, in total. “This project is supposed to benefit Sabah by generating power supply from the west to east coast of Sabah. It will solve our dependency on diesel and refrain us from using coal. “Currently, about 65 per cent of the power supply in the west coast is imported from the west coast through the Sabah Electricity Sdn Bhd’s East-West Power Grid,” he explained. He said the planning of TSGP was under KeTTHA and the Prime Minister’s Department’s Economic Planning Unit, while the Ministry of Finance was tasked to implement the project, including appointing contractors and the finalising the budget. The project was also carried out on a government-to-government partnership between Malaysia and China. “In KeTTHA, before the (14th general) election, the project was just in the surveying and land acquisition level … so how is it possible for payout of 85 per cent work done were made? We are puzzled too. “Only MoF has the details,” said Maximus. He said there had been information that the 85 per cent completed works were on certain project components such as land acquisition, consultancy and others, and not from the overall project. During a recent townhall session involving Sabah’s energy industry here, Yeo said 88 per cent of RM4 billion had been paid out by the federal government, but nothing was done, although on paper, it is stated that the project is at 11.4 per cent completed. Maximus, therefore, called on Yeo to release details of the alleged misappropriation by MoF pertaining to the TSGP project. Yeo had stated that the Federal Government wants the TSGP project to be completed or it will begin steps to recover the RM3.5bil already paid out. She said that although 88% of the total cost of RM4.06 billion had been paid for the project, no pipelines laid. So far, only 11.4% of land clearing has been completed. The gas pipeline project was reportedly kept hidden in the “red files” discovered by the Pakatan Harapan Government after it took over from Barisan Nasional.